On the 15th of October we were leaving the Reunion Cabin in the morning. 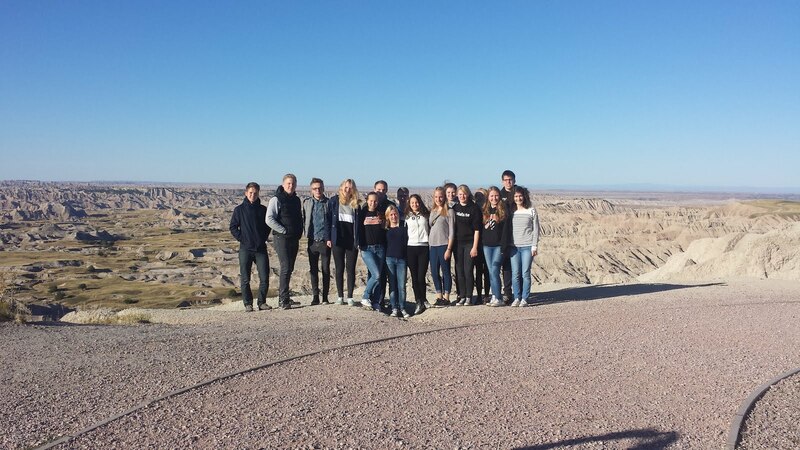 We then were driving on the wildlife tour where we saw buffalos and prarie dogs. After that we went to the Rushmore Mall and stopped at a lake on the way to make a short break. At the Mall we were allowed to go shopping until the bus left and brought us to Rapid City. After that we went to Wall and stayed another night in the Motel we were staying at before.